Carma J. Jensen, 90, beloved Mother and Grandmother, passed away peacefully on Sunday, June 24, 2018, with her daughter Vickie at her side. Carma was born March 15, 1928 to Joseph and Theresa Dipoma in Ogden, Utah. She attended Ogden High School and worked at Kmart in Ogden for many years as the Manager in the Millinery Department and as a District Supervisor. 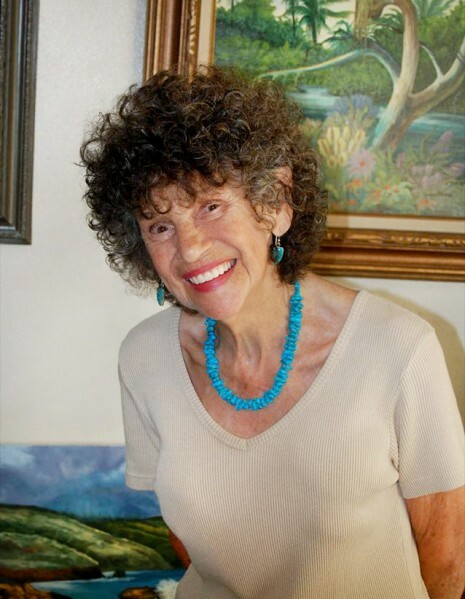 She was passionate about life... enjoyed doing photography, tending and cultivting her beautiful rose bushes and yard, and traveling to California and Hawaii to visit with her beloved children and grandchildren. Carma was a talented oil and watercolor artist, who belonged to the Palette Club and the Western Art Guild. Her paintings won several awards and grace the homes of her family. In 2015 she won the "Mrs. Golden Years" Pageant for the State of Utah. Our precious Mother and Grandmother, Carma, was a positive, loving and sweet person. She had a fun and playful personality with a great sense of humor and was a memerable character. She had a way of always making you feel good about yourself and was quick to give a compliment or praise. Her delightful and lovable presence won over hearts, she was loved and adored by many and will be greatly missed. Carma is survived by her sister Marian Bowen; her daughter's, Jeanne Paquette-French (Gary), and Vickie (Jensen) Sikirdji; daughter-in-law Cathy Paquette-Richardson; six grandchildren Hillary (Jason), David (Gergana), Kelly (Mike), Isaiah, Casey (Paul), and Reggie; seven great-grandchildren Brittany, Dylan, George, Tacoda, Brooke, Judah and Brando. She was preceded in death by her grand-parents Louis and Theresa Nardine; parents Joseph and Theresa Dipoma; brothers Dewey and Ray (Ruth) Dipoma; husbands Bob Paquette and Harold Jensen; life companion Thomas Woods; and beloved son Joe Paquette. A Celebration of Life will be held for Carma on Monday, July 16, 2018, from 6:30 - 8:30 pm, at the Eccles Community Art Center, on 2580 Jefferson Ave. in Ogden, Utah. Special thanks and gratitude to Mt. Ogden Health and Rehabilitation for their excellent care and love for Carma, we greatly appreciate them.